All the customers of Visimpex Ltd. naturally require good quality assortment of connecting material. 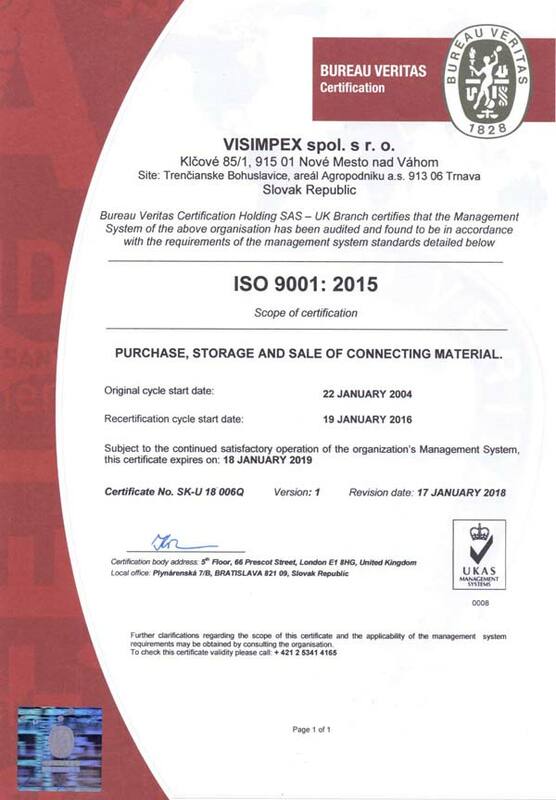 Our company gained the certificate ISO 9001:2000 in 2004 and in 2007 it was successfully renewed. The whole working system in our company is made to keep the quality. starting from the accepting the goods and input control, then ending in output control and goods despatch.